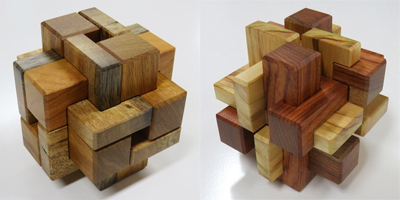 Pluredro sells puzzles and educational toys designed and made by Junichi Yananose. 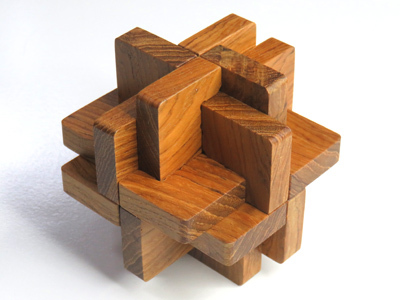 We have released Grooved 6 Board Burr #2 that has unique level 25-2-3-3 solution. 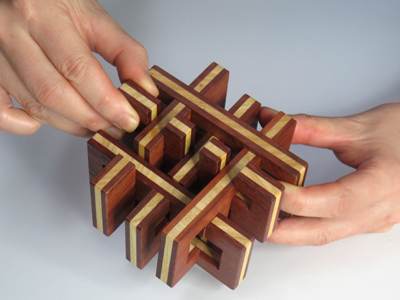 We have released three new burr puzzles, Stretchy 12, Staggered 12 and Juno's L7 Notchable. 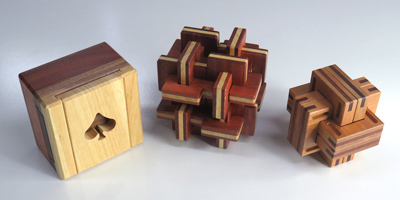 We have put four puzzles up for auction on eBay. A half of the sales of the puzzle will be donated to an organization to support wildlife in Australia. 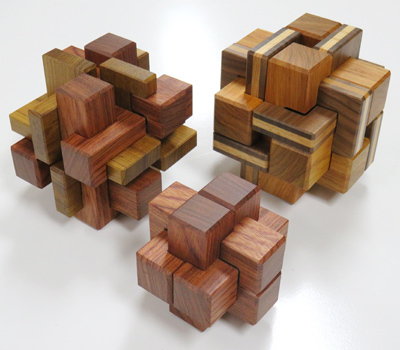 We have put two puzzles up for auction on eBay. 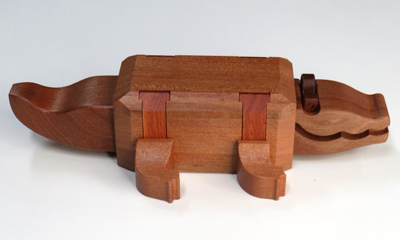 This years our first product is Chubby Crocodile. The reptile has a small internal cavity and we have put treats in it. We have released Grate Grate Puzzle that has unique level 32-6-7-3-4 solution. 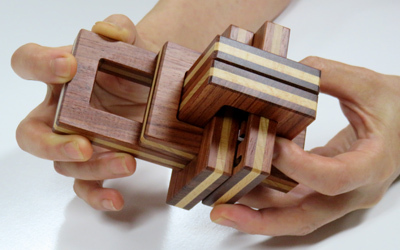 We have put four miniature puzzles made by Yukari and one 2nd grade puzzle up for auction on eBay! A half of the sales of the puzzle will be donated to the AWLQ (Animal Welfare League Queensland) to save stray and surrendered pets. We are looking forward to you joining our auction! We have released trick opening puzzle box Spade Case and two orthogonal interlocking burr puzzle Grooved 6 Board Burr #1 and Tangled Clip Burr. 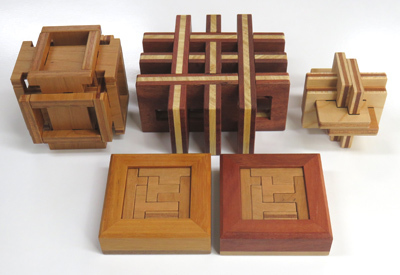 We have put five puzzles up for auction on eBay. "3D Shuriken", a level 9 very difficult twelve piece burr is now on sale! 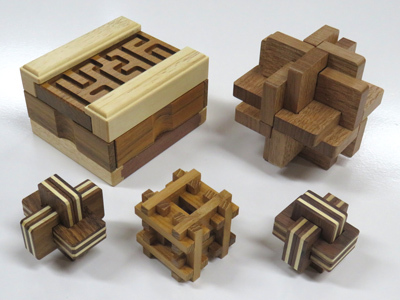 We have released our seventh puzzle box product Meanders Box! 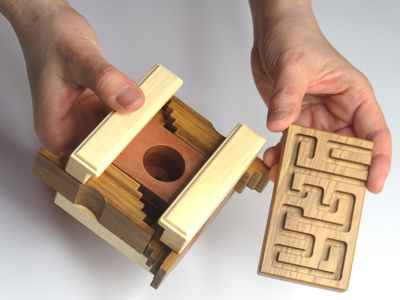 There are two versions to the puzzle that requires maximum 172 or 348 steps to fully open the puzzle box. 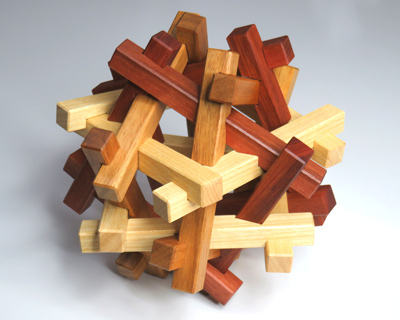 Mirii 6x4, our third version of the Mirii series polyhedral shape interlocking burr puzzle is now on sale!